Dragon coins are coins that are used to make dragon souls in Trove. Four is needed to make 1 dragon soul. Currently in Trove, you need 11,000 dragon coins to make all the dragons. (not including the 3 new ones from adventures). So, keep on reading for some easy and effective ways of farming Dragon Coins in Trove. 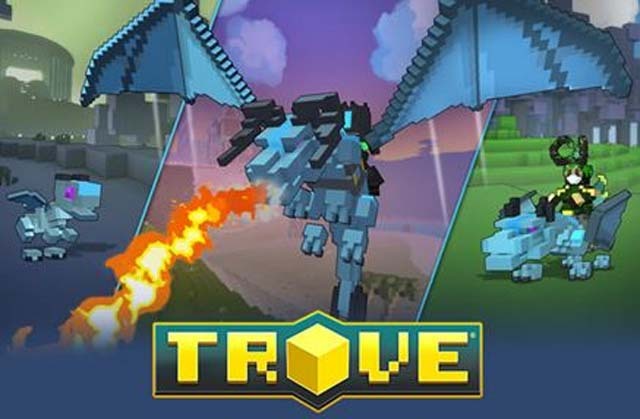 What Is The Best Way to Farm Dragon Coins In Trove? Do Hourly Challenges And Open Dragon Chests? After mastery rank 20, you will find these hourly challenges. They happen every hour for 20 minutes. If you complete 5 dungeons in the requested biome in under 20 minutes you will get 1 dragon coin. After that, completing 40 more dungons in 20 minutes will give you 2 lesser dragon caches. Open these and you can get dragon coins. There is also greater dragon caches. They can give you dragon coins or dragon souls, or possibly enough dragon souls to make 1 whole dragon! The greater dragon caches are worth 250 credits. 11 greater dragon caches are worth 2500 credits. This is undoubtedly the easiest way of farming dragon coins in the game. So, if you are a person who pay to win in the game, you can purchase dragon coins from the in-game shop, either with cubits or credits. For cubits, 5 dragon coins cost 750 cubits. For credits you can purchase the greater dragon caches. Do the collection challenges. Learn the maps, so you can get lvl4 reward. On every hour hop to see if its collection challenge and you will earn a average of 5 DC coins per collection challenge + 5 on the first one that day. Depending on the hours, you can check for collection challenge, it goes pretty rapidly. On top of it. There are Flash deals for dragon coins for Credits. But you can buy Credit pouches on market for Flux. Price variable due players sell them. But on a flash deal often worth it. Time wise spend to grind the flux. Farm recipe dungeons then sell them on the market from anywhere to 200-500 flux each depending on the specific region and time of the day you sell you could easily gather 10k flux in an hour to hour and a half of farming and with that have 10 chances for dragon coins which if you wanted you could take the flux from opening them and buy more until the initial flux spent is all gone. you could probably easily get 12-15 chances with that method. Also, you can come to Joymmo.com for Cheap Trove Flux. Compared to other online sellers, we offer a pretty competitive price and much faster delivery. Then there is farming materials in the world be it bone fragments,mushrooms,enchanted wood etc. If you use the market to find which of those will give you the most flux per hour and then go out and farm them and sell on market you can again similar results as the recipes if not better. Then with a little more work you can swap out hat stats with a few tentacles and get yourself some lasermancy and go mining ores and sell on market as well. Last, you can directly buy a tome in store that gives you 25 dragon coins each week. That's all with this Dragon Coins Farming Guide. Hopefully, it would be useful to you.